Making sugar scrub bars is a simple process that will ultimately make your skin feel amazing. Minus the setting time they only take a few minutes to pull together and make great gifts for all of your family and friends. 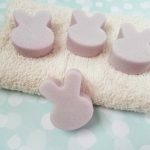 We prefer to make our own homemade beauty products recipes and making sugar scrub bars is no exception. 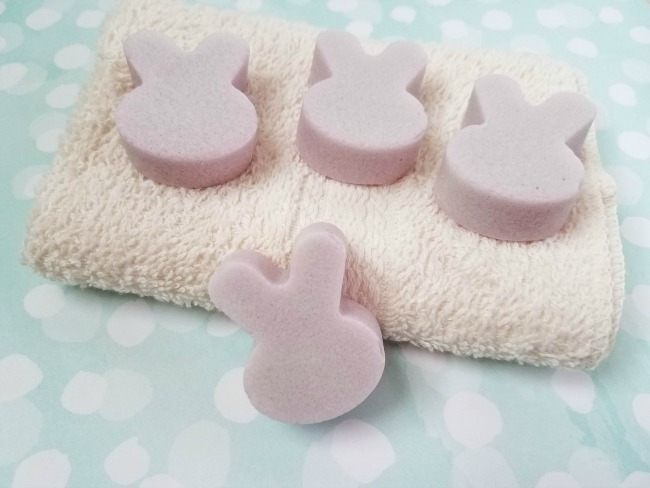 By creating our own products, we know exactly what goes into the recipe and can use ones that keep our skin smooth and healthy but without all of those harsh exfoliates. These lavender sugar scrubs require only a few simple ingredients and perfectly customizable. 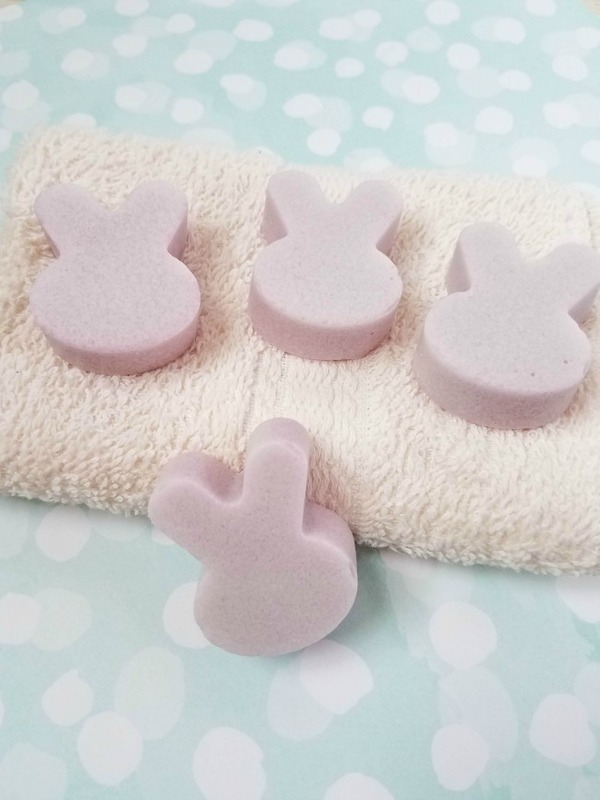 As you can see we have made them into a super cute bunny shape which makes great for gifting in Easter basket ideas for tweens and teen girls but of course could be in any shape you choose. Plus you can use your favorite scent to relax, refresh and enjoy! This amount will make approximately 7 bunnies. Melt your soap base in the microwave on high for 30 seconds. If it is not completely melted, put in for another 10 seconds. Mix in the soap dye and stir well. Mix in the olive oil, sugar, and essential oil. Stir well. If it is starting to thicken, put it back in the microwave for 5-10 seconds. Pour into your silicone mold and let sit for about 3 hours. We’ve used pure cane sugar for this recipe as it has bigger granules and makes the scrub a little more exfoliating. However, if you like something a little less intense you can substitute it for regular granules which will be significantly smaller. Which sugar is best for face scrub? Brown sugar is the best for the face because it is the softest and great for sensitive skin. How many times a week should I exfoliate? Over-exfoliating can cause skin irritation and inflammation, only exfoliate two or three times per week for normal and combination skin, and once a week for sensitive skin. How long do homemade sugar scrubs last? If kept out of moisture your homemade scrub should last up to 6 months. Would you like to print this recipe? 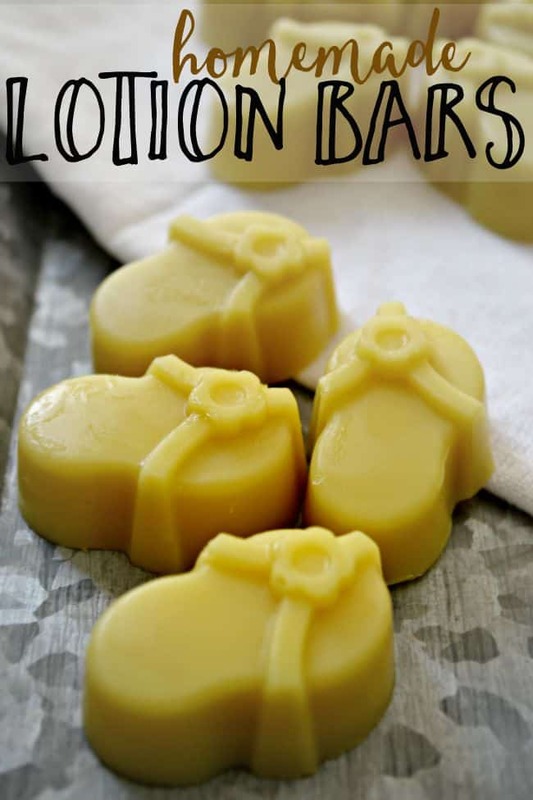 If you enjoyed this recipe for making sugar scrub bars then you might enjoy this other one we have, homemade lotion bars.